This aviation magazine article was originally published in the October, 2011 issue of Airplanista Magazine. With an elevation close to its runway length, Samedan Airport (LSZS) is very unique. It is located close to St. Moritz, at an elevation is 5,600 feet MSL in the Engadin Valley in Switzerland. With a runway only 5,900 feet long, even pilots flying with turbocharged engines notice a significant difference in takeoff performance due to the thinner air. At LSZS, the take-off roll, with a normally-aspirated engine, seems to last forever. Pilots who don’t stick to the best climb speed put themselves at risk of being hit by a ball when flying over the golf course located 800 meters from the departure end of runway 21. 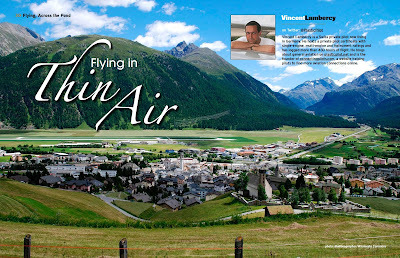 Samedan is a military airport open to civil traffic, and the traffic can be dense in both summer or winter. 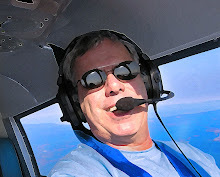 The pattern for single-engine aircraft is at 1,000 feet above airport level but because of the surrounding high terrain, it is much lower above ground level. Most of the summits around peak at 7,000 or 8,000 feet, and some even reach 10,000 MSL. The valley is indeed so tight that there is no room for a base leg, even flying at 70 or 80 knots in a Diamond DA-40 like we flew into Samedan. Light twins, turboprop and jets have to fly direct approaches. This part of Switzerland is not easy to reach. Zürich is only 75 nautical miles away...in a straight line. But driving between the two cities by car takes close to three hours, in good weather, and you must cross several high passes. There are no direct roads, and train connections are not faster. 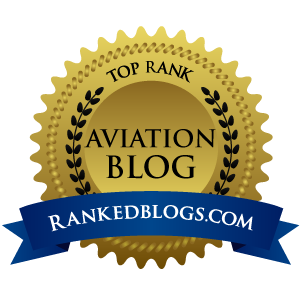 This makes flying a serious option for those who are worthy enough to consider it an affordable option. The airport can accommodate aircraft up to the size of a Boeing 737 Business Jet, and many makes/models of business jets are frequently flying in and out of Samedan because of its proximity to St. Moritz. 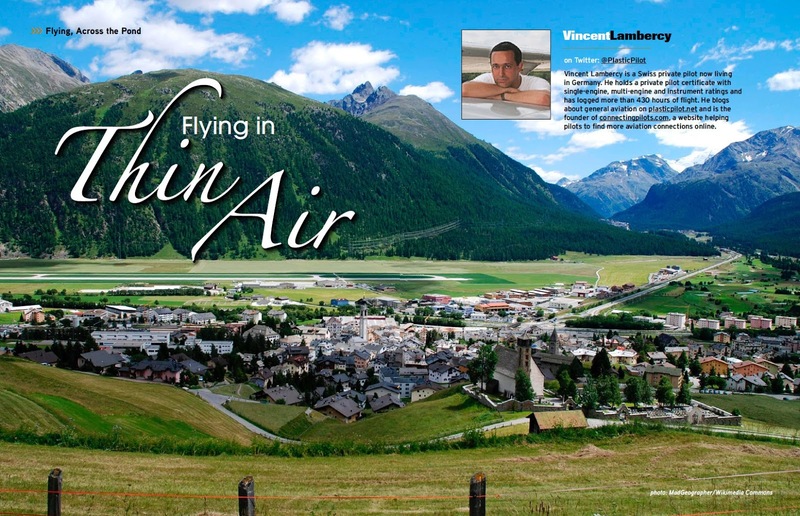 During summer, the altitude combined with temperatures in the high 70s makes Samedan one of the most challenging airports in Europe. Gliders, paragliders and skydivers are also part of the game. In such a terrain, any strong wind is a no-go. Operating in Samedan in winter is even more complex, because of snow. Samedan is in the heart of the Alps and it is not unlikely to see up to 20 inches of snow fall within less than a day. Keeping the runway and tarmac in operational conditions is a challenge for the airport operator in inclement conditions. The proximity with Davos, Switzerland makes Samedan the airport of choice during the yearly meetings of the World Economic Forum, each winter. During this time the airport is closed to most traffic and large prohibited areas are in place and enforced by the Swiss Air Force. Several supplements are published in the Swiss AIP to make sure all the extra restrictions are clear for all pilots in the vicinity. Three accidents involving business jets in 2009 and 2010 led to the introduction of a mandatory briefing for commercial operators. In the 2009 accident, the wingtip of a Falcon 10 did hit a snowbank along the runway, which was identified as a contributing factor by the investigation report. The aircraft veered and broke into two pieces. Reading the report shows how challenging a landing in Samedan can be in rapidly deteriorating weather conditions - the snow bank was was 13 feet high! But if you prepare and execute your flight well, the region has a lot to offer to treat yourself. One of the specialities of the canton (state) of Graubünden where Samedan is located is a dried meat called “Bindenfleisch”. This is beef meet, dried in open air, and then served in thin slices. This makes a perfect starter dish. After landing into Samedan, like in most European airports, you’ll have to walk to the control tower to pay your landing fees. But there, to make it less bitter and more sweet, you can also buy the second local culinary speciality: a Bündner Nusstorte. This is a honey and nut pie, and no visitor should miss it. You can have one at the airport’s restaurant, or explore the surroundings. The Graubünden area offers every possible mountain-related activity - skiing, snowboarding, hiking, golf, mountain biking and some of the most luxurious spas of the country. There’s no better way to relax after a flight than bathing in open air hot springs, surrounded by the glorious snowy mountain peaks of the Swiss Alps.